I have a bit of a connection with California Tower. I religiously go there to workout, while frequently visiting their wide array of restaurants, just because the location is so convenient. But most of their restaurants are admittedly not really off-the-charts amazing. There are a handful of good ones. For example, I featured ciao chow as one of the 5 Italian Restaurants in Hong Kong that Do Stand Out. With their prime location on the ground floor, you wouldn’t have expected they make such delicious pizzas. Ore-no Kappou is another restaurant I enjoyed in the building too. 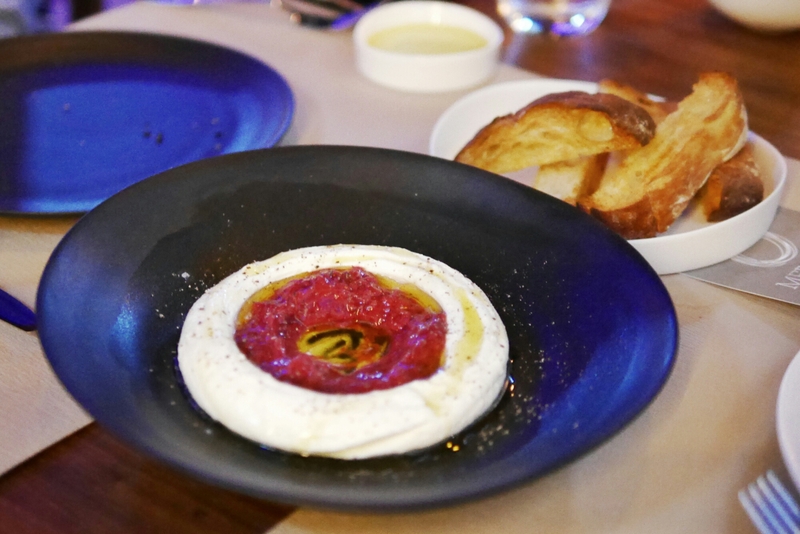 Now comes another Italian restaurant, Mercato. 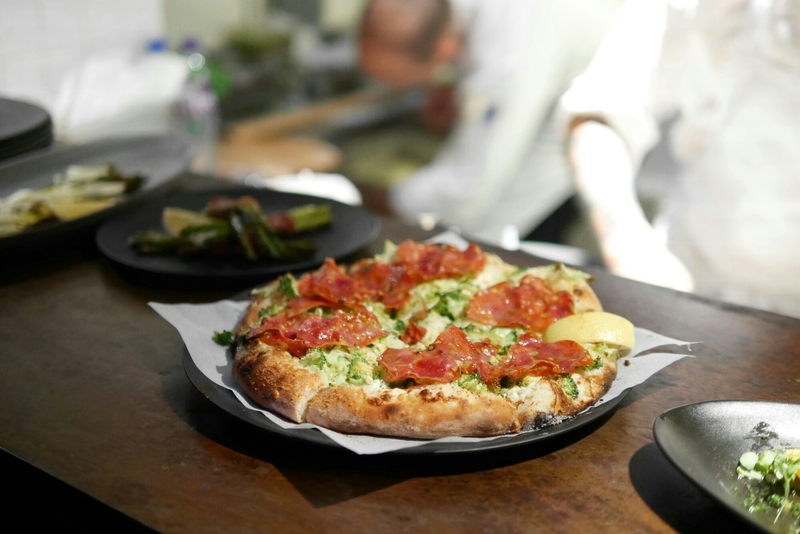 The food is unlike the typical Italian pizza and pasta choices (as is ciao chow’s), so there’s definitely a place for it in the building. It has a great ambience, but thankfully not overly fancy either. It’s definitely a spot I’ve name dropped exactly eight times in the week after, when different friends or colleagues ask “what’s new? What restaurants do you recommend? In light of its perfect location, I naturally came here one day after work. My mandatory pre-dinner drink was pretty delicious. There weren’t any super inventive cocktails on the menu, but the cucumber martini made with Hendricks Gin (HK$148) was the perfectly balanced drink I needed. The starter choices were interesting – actually many of the dishes we had weren’t the tired suggestions. Ricotta didn’t exactly sound super interesting to me at first, but it was surprisingly delicious in a refreshing way just because it’s relatively atypical. I’m always a fan of calamari. But one bite into the thick ring of squid had my eyes widen, eager to exclaim that this has to be the most perfect piece of calamari I have ever had. It had the right thickness of batter, the squid retained juiciness and it just tasted so right and perfect. For starters, we also ordered the hamachi carpaccio (HK$138) and warm seafood salad (HK$168). Both were made well and could be good choices here too. I was definitely feeling more impressed as we moved towards the main course. 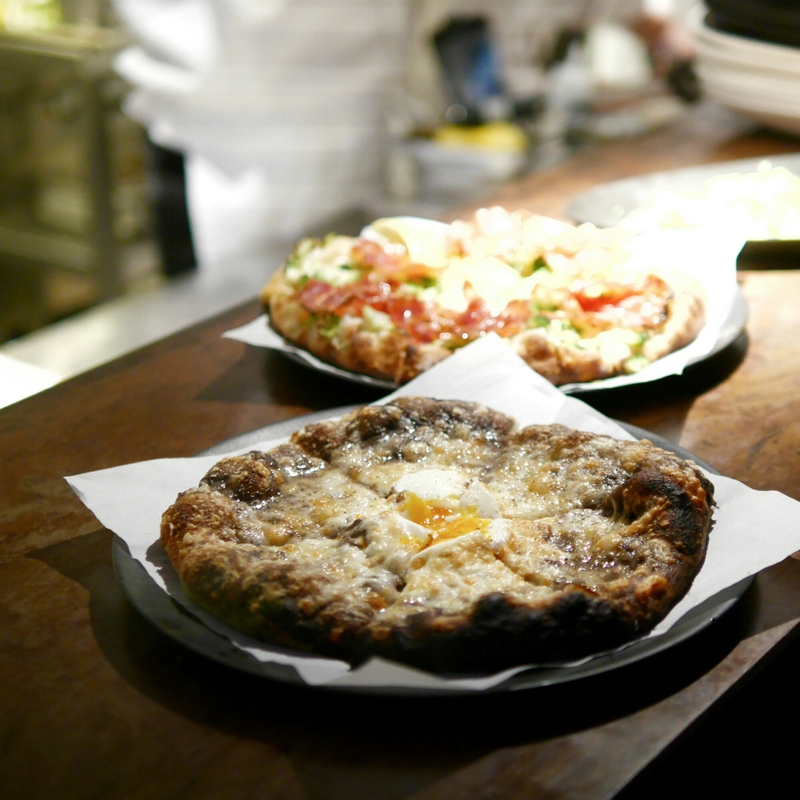 The truffle pizza was probably one of my favourite dishes of the night, just because no one can say no to truffle, cheese or egg, let alone the combination of the three. The pizza dough was doughy, with a good chew and the edges had crispy cheesy bits on it. It was difficult to leave even the crust behind. Although this doesn’t really make the cut to be the pizza I dream and crave of, I have to give it credit for having a lot of broccoli on it, yet being delicious. Despite its intensity on the pizza, the broccoli was pretty un-intrusive and the pizza was overall very creamy and tasty. The short ribs was another wow-worthy dish. 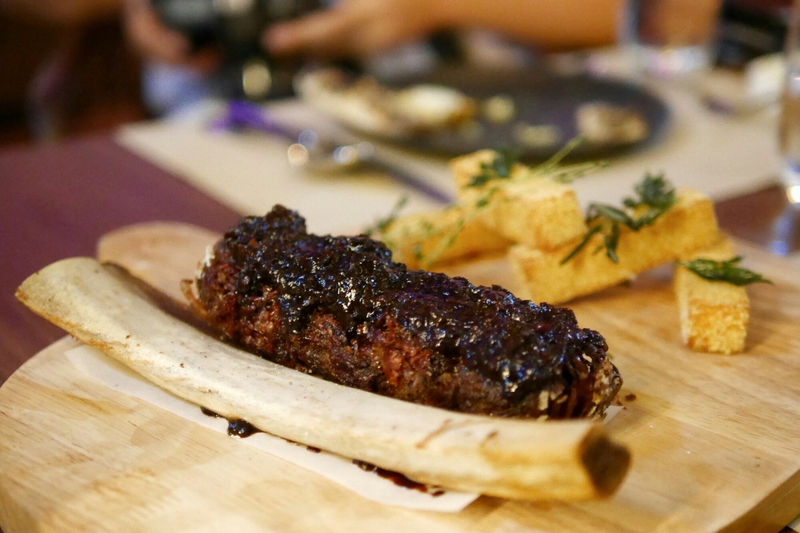 The meat was covered in a smoked chili chianti glaze and made each piece have a crispy almost caramel-like edge. The inside was extremely soft and tender, as you’d expect of short ribs. Equally a highlight was the polenta fries. They score 10/10 for having the right about of crisp, yet maintaining moisture and softness inside. We also ordered another side of spicy crackling cheesy polenta (HK$68) which was pretty unnecessary given how full we were at this point. But they were seriously good. So do order the side of polenta if you’re not going for the short ribs! We ordered a few desserts to share among the table. 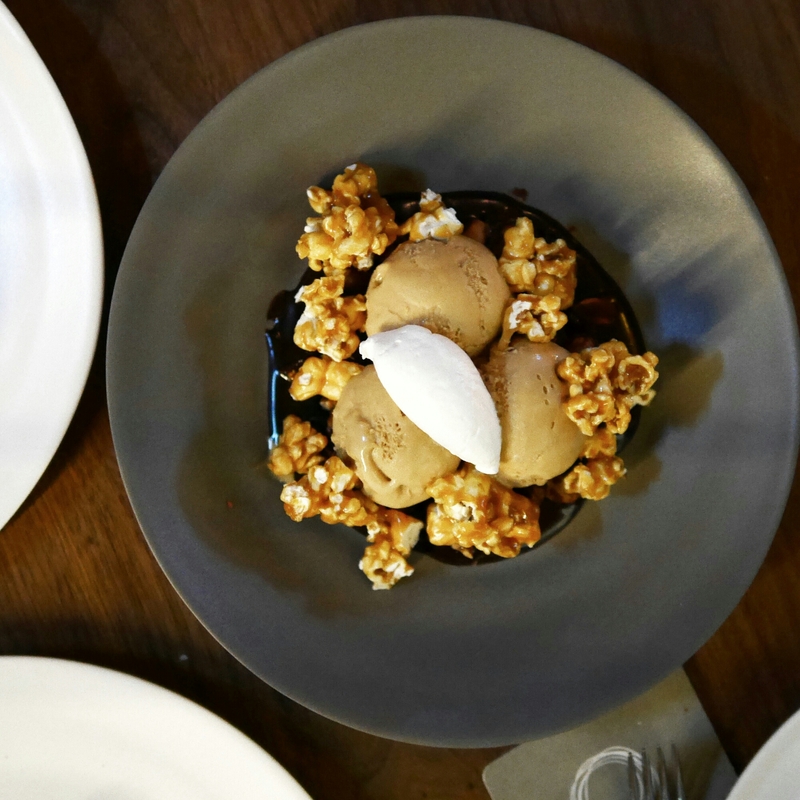 No question the Sundae with Salted Caramel Ice Cream Candied Peanuts (HK$68) *must order* was the winner. The ingredients and photos say it all: it was evil and quite sweet, but extremely satisfying. 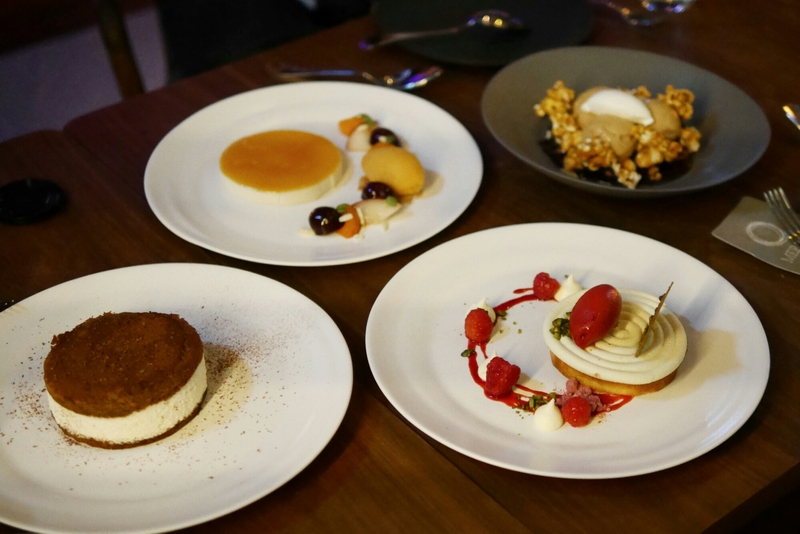 I was also surprised at how reasonably priced their desserts were; the portions weren’t exactly small either. We also tried the Italian Cream Cake with Raspberry Sorbet (HK$68) which is also highly recommended, especially if you’re not feeling like a 10-year old kid going for the sundae, or you just want something less sweet. The Tiramisu (HK$68) on the other hand was a bit of a let down. You can see from the photos that it doesn’t really look like a tiramisu. Its taste was also a little too far off from traditional for my liking. Plus all the flavours were quite mild. As soon as I stepped off the lift and into Mercato, my first thoughts were that it’d be a perfect spot for a casual birthday gathering. The food also turned out to be generally delicious and easily share-able. I’d definitely recommend the truffle pizza!